Bex Design and Print, based in Wiltshire, had an issue that the post production room constantly ran at 36-40 degrees celcius. With a large extension plan imminent, Bex Design and Print were concerned about increasing costs to their utility bills. Bex Design and Print, based in Wiltshire, had an issue that the post production room constantly ran at 36-40 degrees celcius. This excessive temperature was caused by machine use and vacuum pumps, consuming more than necessary electrical energy, provoking employee discomfort and causing increasing risk to equipment failure. With a large extension plan imminent, Bex Design and Print were concerned about increasing costs to their utility bills. SMARTech Heating & Cooling first carried out their Energy Management Survey and installed real time energy monitoring equipment to understand exactly How, Where & When energy was being consumed and what spare load was available. This process helped identify areas for solutions. Not only did SMARTech Heating & Cooling design a bespoke cooling system, they assessed and optimised the planned ventilation system for Bex Design and Print’s upcoming extension, greatly reducing expected running costs. SMARTech Heating & Cooling completed the installation of evaporative cooling at Bex Design and Print in Calne. The system now delivers a more comfortable working environment at the 340m2 site and is 90% cheaper to run and produces 90% less carbon emissions. Overall, SMARTech Heating & Cooling’s intervention aims to save Bex Design and Print £12,000 a year on energy bills. Evaporative cooling systems are extremely efficient, delivering 35kW of cooling power only using 2.4kW of electricity with a running cost of 25p an hour. The technology is an outstanding heating solution for any energy conscious organisation. Evaporative cooling cools without the need for refrigerants. 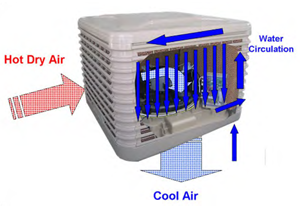 Instead of direct evaporative cooler, the evaporative cooling solution uses a wetted filter pad, which cools air by bringing it into contact with water. Following the principle of the ‘wind-chill effect’, water evaporates into the air stream and cools. SMARTech Heating & Cooling has installed evaporative cooling in garden centers, retail spaces, server rooms, printers and leisure centres. As part of the service, SMARTech Heating & Cooling designs, supplies, installs and commissions bespoke systems to each facility with the option of cooling only or a cooling and heating solution. SMARTech Heating & Cooling also services and offers support on an ongoing basis to ensure they operate effectively. Evaporative cooling systems are up to 90% more energy efficient than standard air conditioning, yet still deliver the same cooling benefits. Eco-cooling is of a similar price to install (although it can often be cheaper) but where applicable can make use of existing ducting. 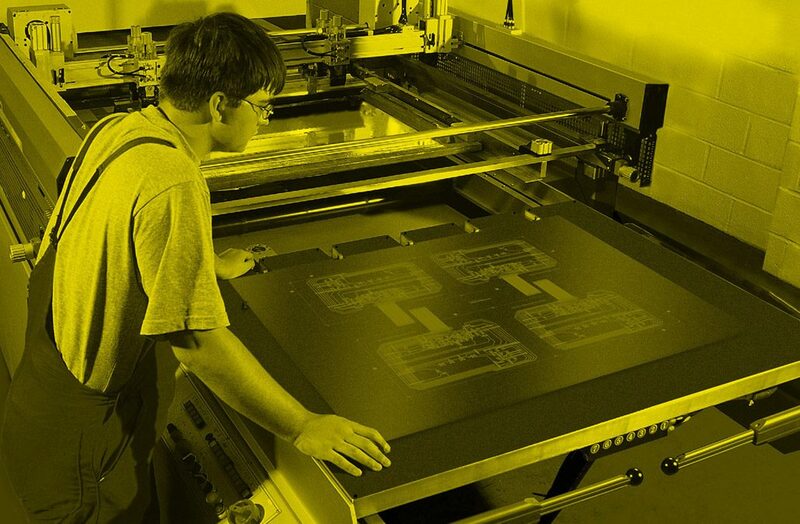 Our case study on SMARTech Cooling’s work with Bex Design & Print tells the story of how we helped reduce their energy consumption. If you would like to reduce energy waste, boost profits and cut carbon emissions then contact SMARTech Cooling today.